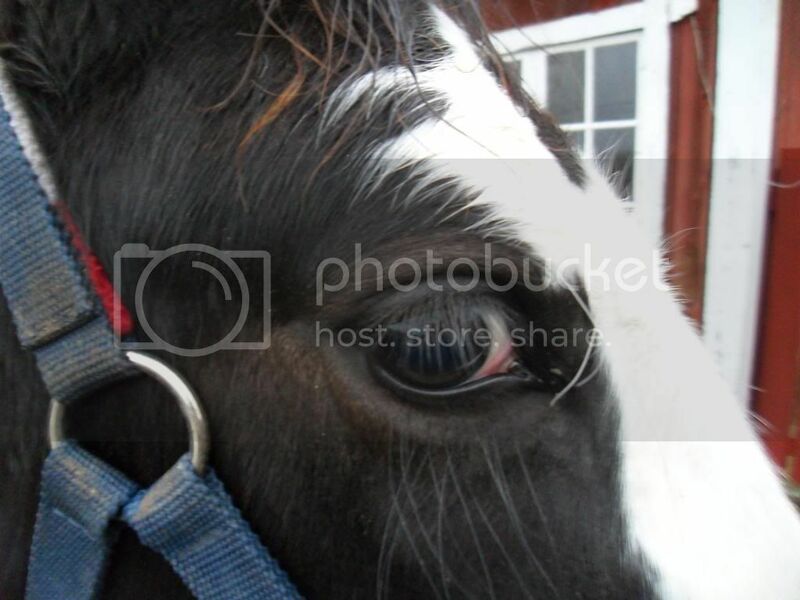 Home » Equine » What color is my horse? 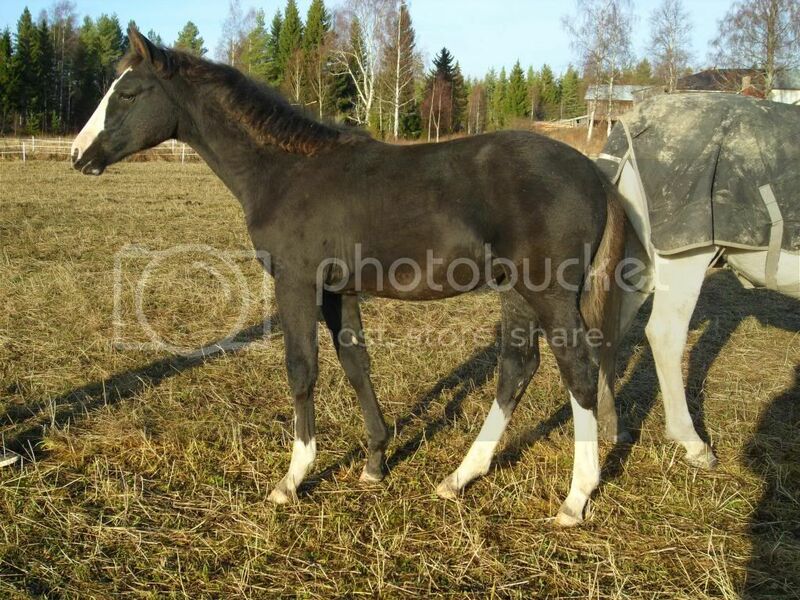 » What color is my foal? 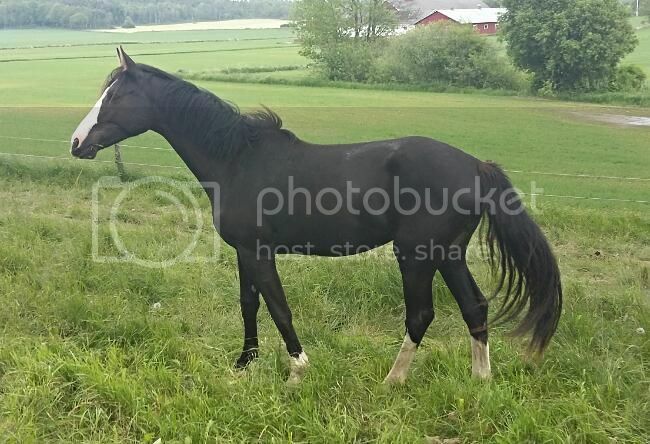 Our ID-controller registrered her as brown, but once again she looks lika a liver chestnut, and she still hasn't started to grey as I first thought she would. 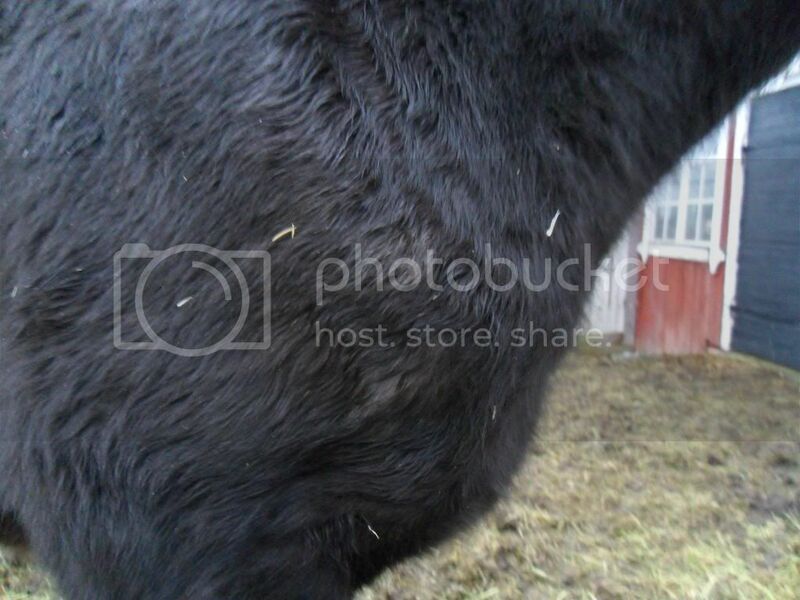 She's by a chestnut-stallion, out of the grey mare you can see in the photos. 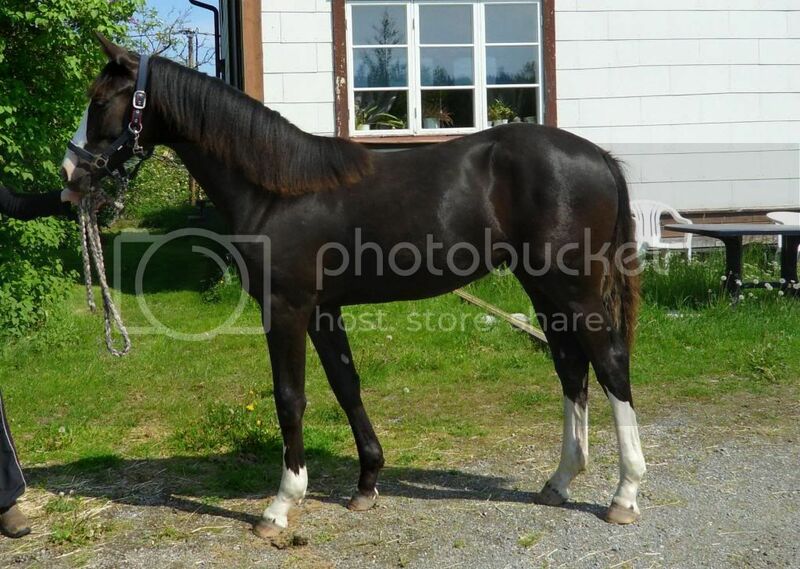 I going to go with brown on this one although black and liver chestnut could still be possible. That would be a very unusual foal coat for a Liver Chestnut however. Here are some photos of a smokey brown (brown + cream). The foal coat is remarkably similar to your foal. Have you considered testing? Sometimes a test is the only way to know for sure. I will also add that I don't see signs of gray either but I wouldn't entirely rule out gray just because of her unusual shade. Gray can darken a horse before taking the color away. I have seen gray palominos that could easily be mistaken for buckskins before they start to go white so it is possible that gray is playing with her color. I have been hoping for brown because it feels like the color with the highest chans of her keeping the color and not going grey, but now when her foal coat is off of her legs too, I noticed she's not black on her legs. 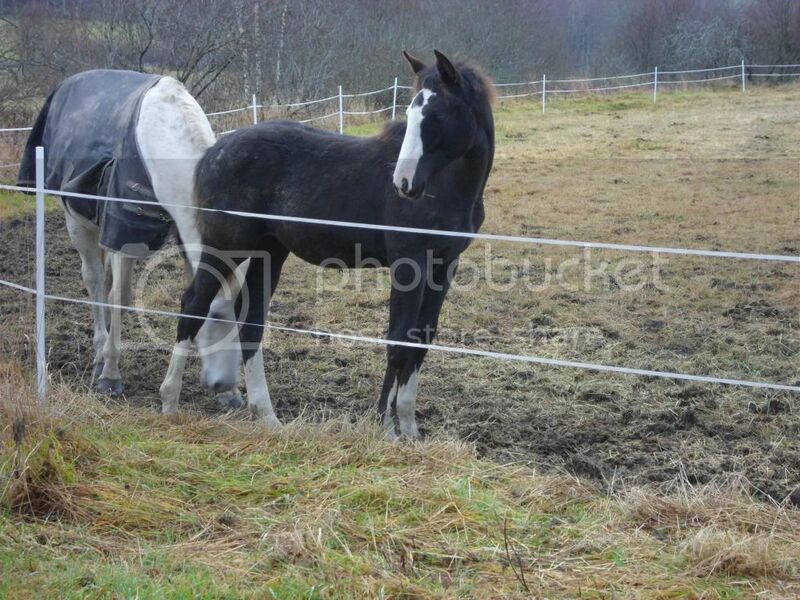 Which makes me think liver chestnut again, althoug I HAVE seen black foals looking like she does at the same age. Or at least one or two. :P Black is unlikely, but not impossible. 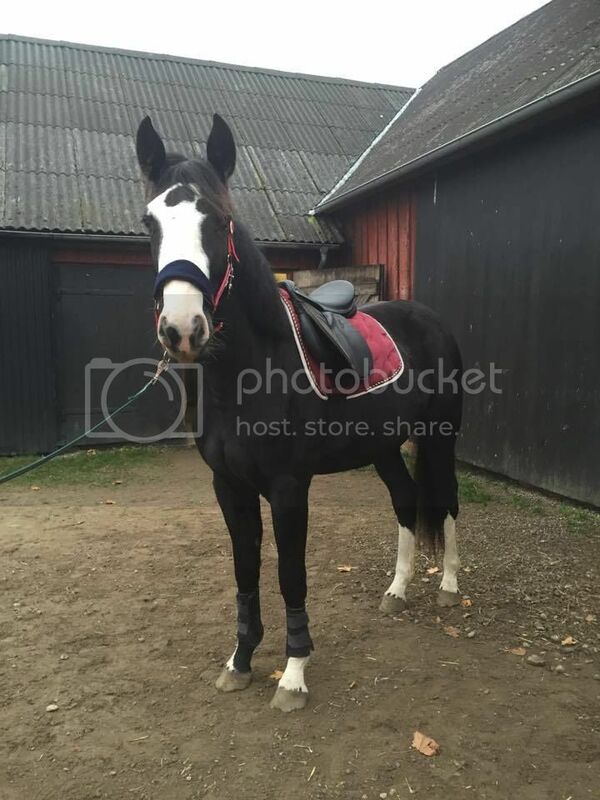 I have also taken inte consideration her sabino-gene, I know of a (tested) brown pony with sabino whose leg (the only one without a high sock) isn't black, and apparantly sabino can mess a bit with the color as well, although how much I can't say. 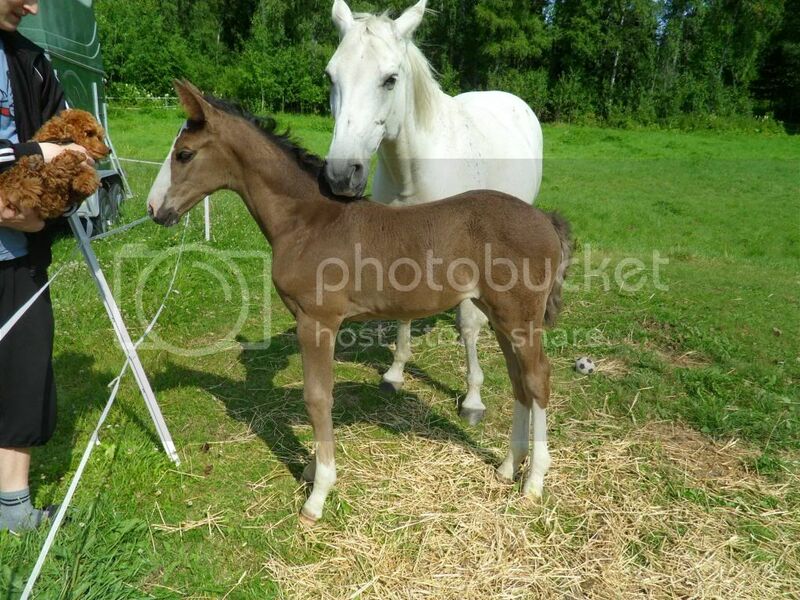 The smoky brown is similar, but has a warmer and lighter tone, much like mine when her foal coat had been sun-bleached. Is "cream" the english word for our "yellow"? Like palomino which is red+yellow? I have considered testing, yes, and will post my letter with strands of her tail tomorrow, but will have to wait a month for results. At the very least. I think brown too. Do you know what the base color of the mare was before she went gray? Unfortunatly, I don't. I only know I can't rule out any color at all, after investigeting the colors in her lines. Her mother was brown, but had chestnut siblings so she can have a red gene. I don't know what her grey father's base color was (Athlet Z) either. Her other 2 offsprings was born bay and didn't grey. They both had bay sires. Right now she looks lika a sunbleached black, even darker than she is in the photo above. Test result came back, so I know now she is NOT a chestnut, forgot to fill in to test for agouti, and don't plan to redo it anytime soon, so brown, black and grey are the possible colors. 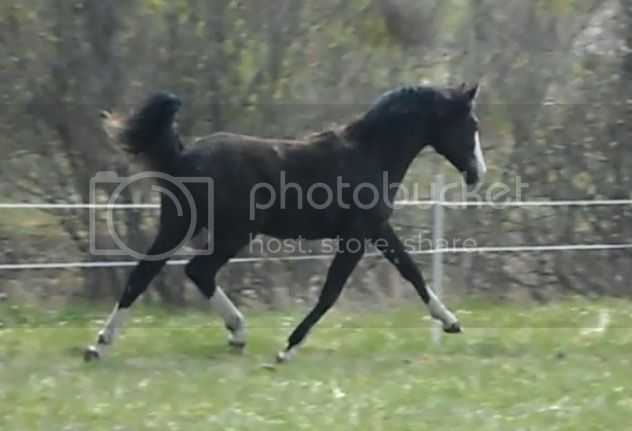 Honestly from the foal pics and the ones of her older I am pretty certain she is black. 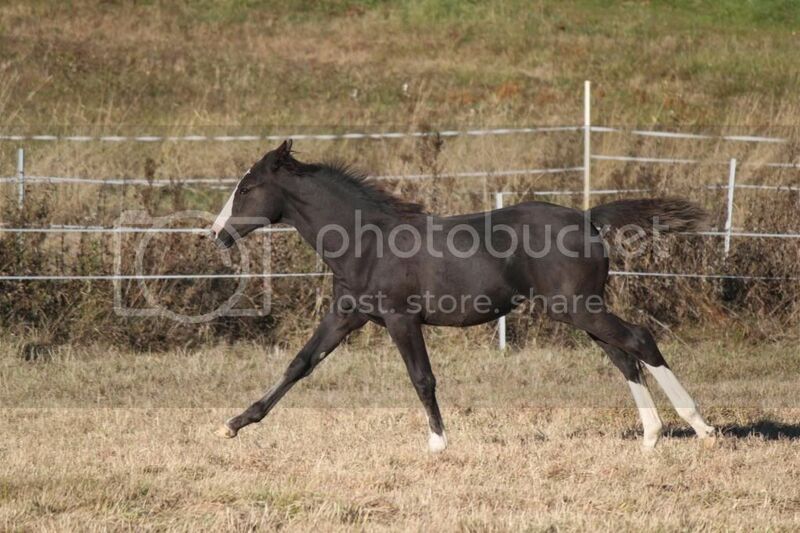 I've seen several black foals born a similar color to her. She is lovely. A lot of brown agouti babies I've seen look more like bays when first born. I'd say definitely Brown, just looking at the nose, which is my very first port of call when judging these things irrespective of coat colour! She has a Brown nose- ergo, she is Brown! Nice filly, btw. 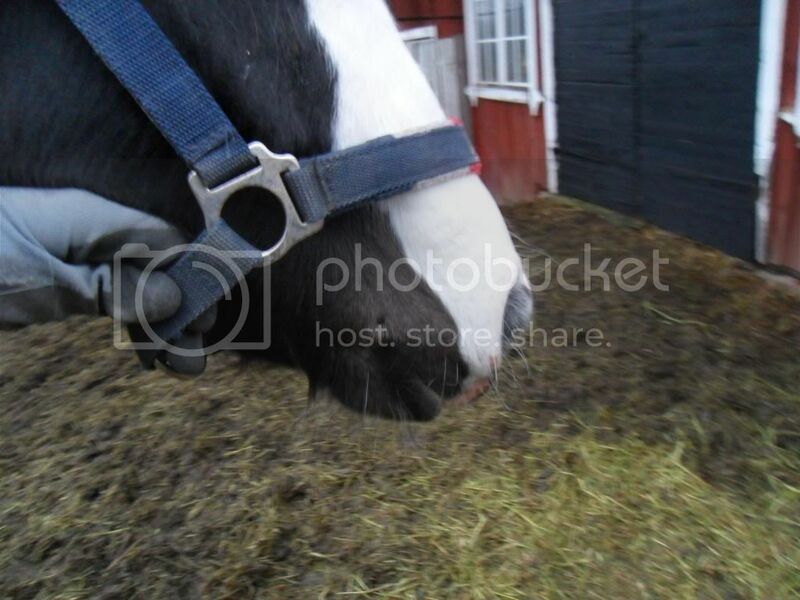 Is looking at the nose more accurate than any unmarked fetlocks or pasterns? I still don't think brown or grey. Wow, that is a lovely trot! So, I guess it was gray playing with the foal coat after all. Thanks for posting and letting us know what color she ended up. I found this just now, and I have no idea what I was talking about? Lol, she most certainly is NOT grey. Sorry about that. :p I think I was so dreading her going grey that I interpreted every white hair on her body as a sign of her greying out. She's totally awesome regardless of her color though! Beautiful! She looks black now.